Come join the centennial anniversary of this remarkable landmark on Saturday, November 19. At 10:00 a.m. Bishop Gerald F. Kicanas will offer a mass, which will be followed by the 11 a.m. dedication and luncheon featuring many dignitaries. Entertainment and food begins at 12:00 p.m. until 5:00 p.m. The history of the parish tells the story of an enduring legacy of brotherhood, community and faith. 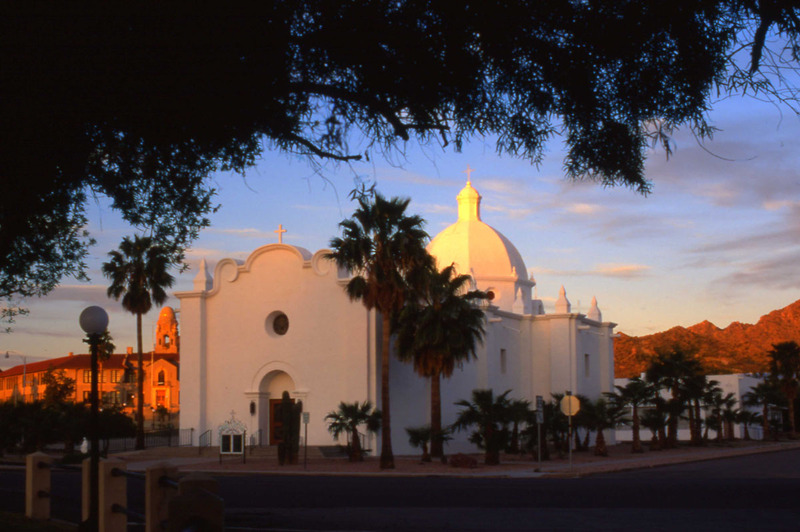 Catholics of Ajo and surrounding areas were served by the Franciscan Priests of the San Solano Indian Missions (now Topawa), prior to establishing the Immaculate Conception Parish on August 24, 1916. Mass was first celebrated in a tent house in Clarkston (also known as Rowood). Clarkston was a small thriving community southeast of Ajo. Father Julius Gheldorf was the first Pastor. In 1922 a contractor, by the name of Eck, began the present church. Guadalupe Rodriguez and a local man was the subcontractor. The rains came, a wall fell, and the building funds ran out. Mr. Eck left town. Guadalupe Rodriguez and his crew finished the building in 1924. Phelps Dodge gave the deed to the property to the Diocese of Tucson in 1938 and helped fund the construction. The parish is one of the few functional churches left made of adobe. 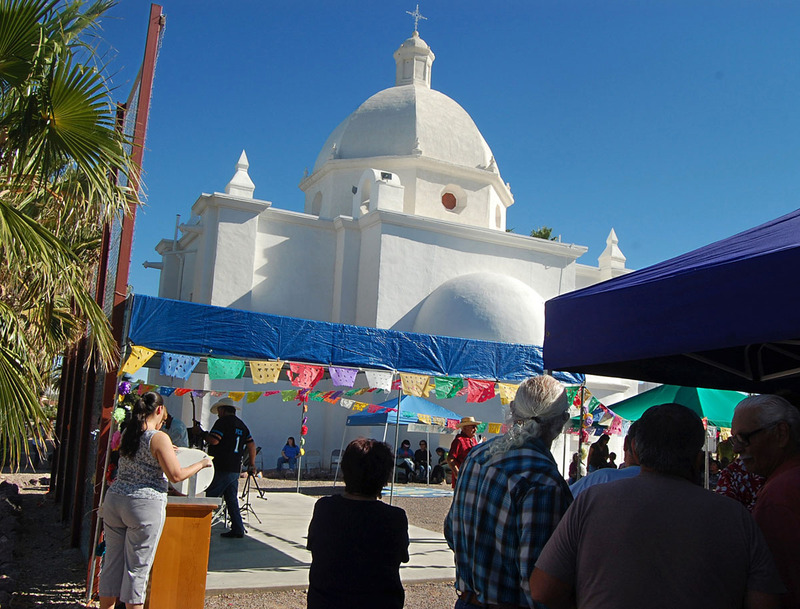 For many years Immaculate Conception Parish included Gila Bend, Cotton Center, Theban, Sentinel and Hyder. November 26, 1925 was set as the date for the dedication. Father Felix Collymore was the Pastor. Committees were set up. Many clergymen and lay people attended. Bishop Daniel J. Gerke of the Diocese of Tucson dedicated the church during the Mass. Dedication day ended with the season’s classical ball in the Curley School Auditorium in Ajo. Knights of Columbus, George M. Feeney Council, was established in 1963 under the guidance of Father Cahalane. Father Cahalane started the Cursillo movement in 1967. Reception of Court Immaculate Conception of the Catholic Daughters of the Americas was held on July 20, 1975. The Parish thrift store was opened in 1984. 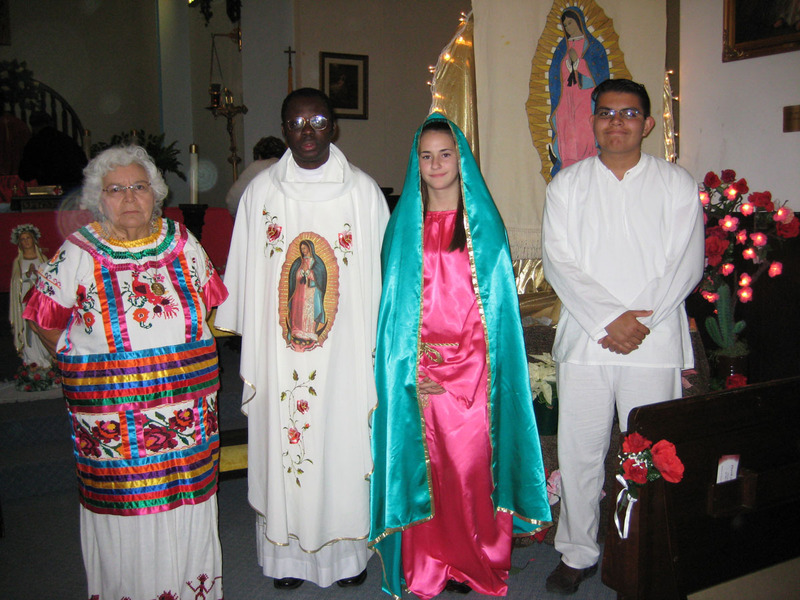 The Legion of Mary was started in 1985. Appointees served until 1985. In 1984 Father Jan F. Lundgren established the Parish Council, as well as the District Program. The Parish Hall was built in the late 1940’s. The men of the Parish did the construction. 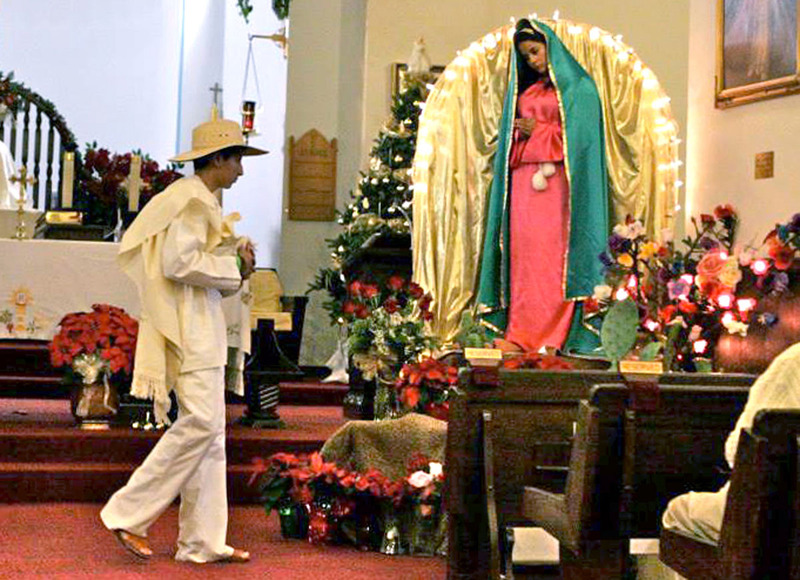 Parish traditions: The Feast of Our Lady of Guadalupe has been celebrated since 1979 with a special mass followed by a social; Jamica bizarre takes place in mid-November; and the 4th of July barbecue. Father Peter Nwachukwu is the newest pastor arriving in January 2006 from Nigeria. For information contact: The Immaculate Conception Office – 520-387-7049.